Riccardo Flamini; Researcher and Chemistry Laboratory in Chief at the CRA, Viticulture Research Institute, Italy and Professor by contract of Quality Control of Wine at the Agricultural Science Faculty of Padua University, Italy. Rocco Di Stefano, Palermo University, Italy. Giuseppe Versini, Istituto Agrario San Michele all'Adige, Italy. Roberto Larcher, Istituto Agrario San Michele all'Adige, Italy. Andrea Curioni, Dipt. Di Biotechnologie Agrarie, Padua University, Italy. 1. Principal Parameters of Grape Ripening and Wine Fermentation (Rocco Di Stefano and Riccardo Flamini). 1.2. Determination of Grape Ripening Parameters. 1.3. Analysis of Fermentation Parameters of Wine. 2. High Performance Liquid Chromatography Analysis of Grape and Wine Polyphenols (Rocco Di Stefano and Riccardo Flamini). 2.2. Extraction of Polyphenols from the Grape. 2.3. Sample Preparation for HPLC Analysis. 3. Polyphenols Analysis by Liquid-Mass Spectrometry (Riccardo Flamini and Mirko De Rosso). 3.2. Non-Anthocyanin Polyphenols and Procyanidins. 3.3. Anthocyanins of Grape and Wine. 4. Grape and Wine Contaminants: Ochratoxin A, Biogenic Amines, Trichloroanisole and Ethylphenols (Riccardo Flamini and Roberto Larcher). 4.2. Determination of Ochratoxin A in Grape and Wine. 4.3. Determination of biogenic Amines in Grape and Wine. 4.4. Determination of 2,4,6-Trichloroanisole in Wine. 4.5. Analysis of Ethylphenols in Wine. 5. Analysis of Aroma Compounds in Wine (Giuseppe Versini, Eduardo Dellacassa, Silvia Carlin, Bruno Fedrizzi and Franco Magno). 5.1. Aroma Compounds in Wines. 5.2. Methods for Analysis of Non-Sulphured Aroma Compounds in Wines. 5.3. Volatile Sulphur Compounds in Wines. 6. Analysis of Pesticide residues in Grape and Wine (Paolo Cabras and Pierluigi Caboni). 7. 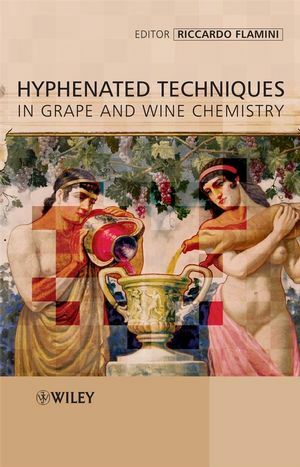 Proteins and Peptides in Grape and Wine (Andrea Curioni, Simone Vincenzi and Riccardo Flamini). 7.2. Extraction of Grape and Wine. 7.3. Analysis of Grape ad Wine Proteins and Peptides. 8. Elements and Inorganic Anions in Winemaking: Analysis and Applications (Roberto Larcher and Giorgio Nicolini). 8.2. Traceability of Vitis Vinifera Related Products on the Basis of Geographical Origin. 8.4. Architecture and Components of an Inductively Coupled Plasma Mass Spectrometer. 8.5. Analysis of Inorganic Anions. 8.6. Applications for Grape, Wine and Derivatives.